My name was Joan Kennard and I am now 96. My mother and her siblings were born in the house next to where the refinery stood. I was brought up in Gonew near Trencrom. My mother’s grandfather, a Mr. Stevens, was the assayer at the nearby tin mines. His son, David Stevens, my grandfather, wanted to extract the tin in the tailings brought down by the Red River from the mine’s Wilfley Tables, but his father said if you do this madcap thing I will cut you off with a shilling! However David went ahead and built the refinery on the beach and in the end made a lot of money! There is an active campaign to save the sand from extraction, down at Hayle, over extraction has a negative impact of the beaches in all the surrounding areas: look at http://www.soshayle.fsnet.co.uk/ for more information. Between the two great wars Tin was still being extracted from the sand beyond St Peters point. 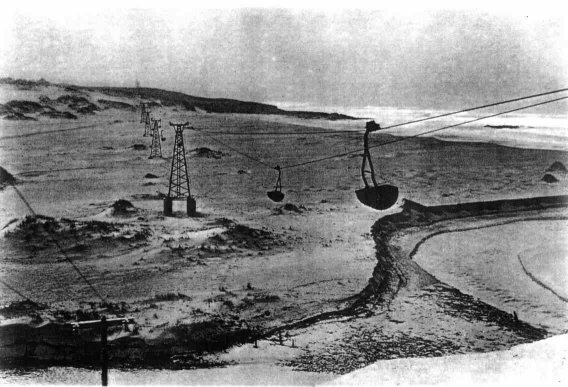 Loads were taken by horse and cart, by tractor and by huge buckets suspended on cables, right the way across the beach to the SandSifters site by the Red River. The huge concrete blocks that held up the pylons can still be seen on the dunes near the Lifeguard hut and more are tipped over but visible below the Jam Pot on the dunes. 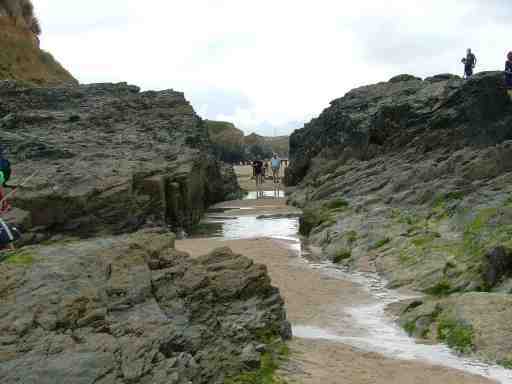 The cut through the rocks by the SheepsPool was blasted by the mining company to allow the horse cart loads to continue along the beach as the tide came in. As the men were paid by the cart load, they had often carried 'just one more' load around the rocks as the tide lapped at the horses ankles, it is said that the cut was blasted after a cart was lost trying to get around a little too late. 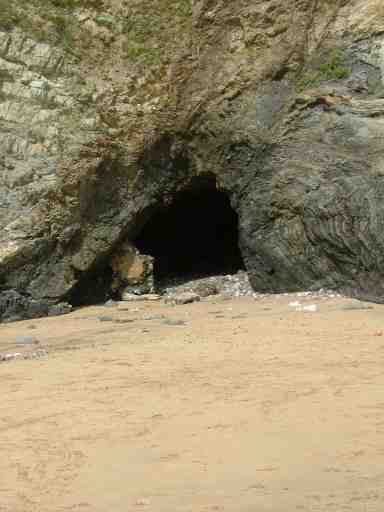 The small cave known as 'Iron Doors' on the way to St peters point was used to house the big caterpillar tracked tractor that took loads across the beach at another time the brickwork that held the huge door to the impromptu Garage still remains in part.